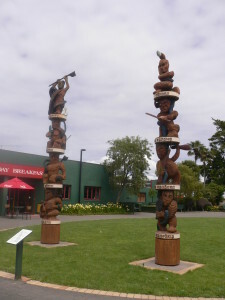 When Pākehā first arrived in New Zealand, the Māori population by some estimates stood at about 90,000 people, spread all over Aotearoa though most lived near the coast. By the time the war at Waitara began in 1860, the Māori population had fallen to about 60,000. The population decline rapidly continued thereafter. In the post war period, from 1874 (the first Māori census) to 1896 (the lowest point), the population fell by another 20,000, to a lowest point of 39,000. Clearly, the impacts of colonisation upon Māori were severe, as these figures show. But in the post war period, when the opportunity arose for the government to rectify the Māori decline and protect Māori communities, it did neither, instead embarking upon a vigorous and punitive land acquisition programme that exacerbated this fall in population numbers. After the wars were over, the Māori population went into a steep decline, raising fears amongst Pākehā that ‘the Māori race’ might actually die out. This fear – or expectation – dominated Pākehā thinking right up to the 1920s, and even beyond, influencing the way histories of Māori and New Zealand were written. On the basis of Census information, then, the Māori population figures were certainly in decline. Many reasons were given for why this was occurring, many of them highly questionable. The lowest year (Census) for Māori on record was 1896. Thereafter, according to the population data, the Māori population began to increase, though this increase was not noticed or believed by Pākehā at large for some years.